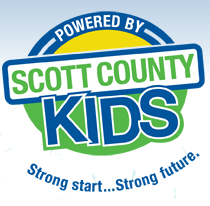 Scott County Kids is an umbrella organization that provides for the physical and mental health of children from birth to 18 years of age. Because we combine resources from Early Childhood Iowa and Decategorization, we are able to better coordinate services and operate with the fiscal and programmatic power necessary to do our best work. Our organization has the capacity to accept donations and apply for federal, state and local grants. We use these resources to partner with contractors throughout our area and provide the best care to the youth, parents, and families we support. 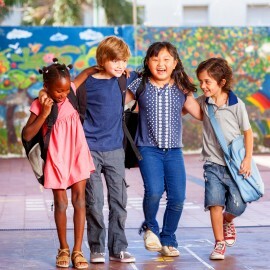 The mission of the Scott County Early Childhood Iowa Area is to coordinate and expand the community’s services to enable young children to be physically healthy, intellectually curious, emotionally sound and socially competent. Led by citizens, this public-private partnership provides a seamless continuum of services that help children strive to reach their full potential. If you are interested in being a part of the Early Childhood Board please fill out the Application and contact Diane Martens for more information. Learn more about the Early Childhood Iowa initiative here or contact Diane Martens, our Early Childhood Iowa Coordinator at Scott County Kids. Decategorization is designed to redirect child welfare and juvenile justice funding to services which are more preventive, family centered,and community-based in order to reduce use of restrictive approaches that rely on institutional, out-of-home, and out-of-community care. Decategorization funds effective programming that will deter children and youth ages birth to 18 from entering the child welfare and/or juvenile justice system or provide a safe exit for children and youth already in either system by partnering with health, education and welfare resources for the betterment of children and families. Learn more about Decategorization at the Iowa Department of Human Services, or contact Nicole Mann, the Coordinator for Scott, Cedar, Clinton/Jackson, Dubuque, Muscatine and Quad County Decat Boards.